HomeNasal CongestionWhat are the Types of Sinus Surgery? Have you tried everything to take care of your sinus problems? You bought a Neti Pot and used a Nasal Spray just like the doctor ordered. Now your doctor has referred you to an Ear, Nose, and Throat (ENT) surgeon because she says there’s a good chance you will need Sinus Surgery. But what exactly does that entail? I’ll try and answer that for you. What Causes the Need for Sinus Surgery? There are many symptoms that accompany these conditions. If you experience these symptoms, no matter the cause, for up to 4-6 weeks and you have reached what’s called the “Maximum Medical Treatment”, then your doctor may send you to an ENT surgeon for Sinus Surgery. What can you try before Surgery? There are all kinds of “home remedies” one can try before going to the doctor to get your sinuses looked at. From drinking more liquids to prescription meds, there is a wide range of things to try. Each one of these in the list can help clear out your sinuses and eliminate the need for Sinus Surgery. There are other medicines your doctor can try before they revert to surgery, but these require a prescription. Whatever your choice, you might as well exhaust all your options before you take the drastic step of surgery. What is the purpose of such a Surgery? There are three “basic” types of Sinus Surgery; each has its own advantages and purposes. All three of these procedures can be used to relieve your nasal congestion and clear your sinuses. Whether or not you need one of them is a decision for you and your doctor. There may come a point however, when you’ve done all you can and it just isn’t getting any better. Once you reach that point you may have no other choice but to get the surgery. Sinus Surgery, whatever the type needed, is not something to take lightly. If you’ve exhausted all the other options though, you may have no choice. Once that point has been reached, you will need to speak with your doctor and determine which type of procedure is best for you. You will obviously need to let them decide, but make sure you are comfortable with what is decided. Ask questions until you are satisfied. It’s your health you’re talking about and you need to be satisfied with your Sinus Surgery choices. Which is NOT a type of Surgery on the Sinuses? Which is a home remedy for Nasal Congestion? True or False: FESS is the most common type of Sinus Surgery. What’s that worth now? Whether you suffer occasionally or chronically from Sinus troubles, the value of the Vicks Personal Steam Inhaler is exactly that, valuable. What is a Personal Steam Inhaler? This 11” tall device is a sturdy, plastic, water container/heater with a mask that fits snuggly over your nose and mouth. Simply fill up the basin with water and let it heat (ready in minutes.) Once ready, place the patented, plastic hood over your nose and mouth, then inhale deeply. It’s very likely you will experience relief almost immediately. The Vicks Personal Steam Inhaler delivers warm, moist air (steam) directly into the nose and throat where Nasal Congestion settles. It soothes the throat and penetrates the sinuses to give fast, effective relief of symptoms. If you suffer from Nasal Congestion you can’t, afford to NOT buy this thing! Vicks has come up with the perfect answer to Cold, Flu, and Allergy relief. 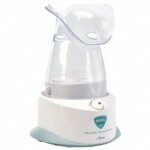 Check out the Vicks Personal Steam Inhaler! If you’ve ever had a stuffy or runny nose that made you miserable, I have a product you need to check out. 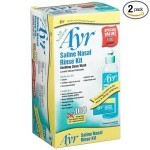 The Ayr Saline Nasal Rinse Kit is an all-natural sinus irrigation system. Regardless of whether your nose is stopped up or running like a river, this product will give you fast relief from your Nasal Congestion. The Ayr Saline Nasal Rinse Kit is a simple point and shoot procedure that comes with complete instructions. It helps relieve sinus symptoms by flushing out the various contaminants that can get lodged in your sinuses. So if you suffer from Sinus and Nasal Congestion, the fact that you need to use this product should be as clean as the nose on your face! Hah, I did it again, I kill me. What Can You Do About Sinus Pressure? What are the Different Types of Nasal Spray? What is a Neti Pot and Why do You Need One? What can I do About this Runny Nose? Ugh! I’ve had sinus surgery. I caught a really bad cold from a coworker once that hung on for months. I went through several rounds of antibiotics but the congestion never cleared up! Finally, that summer, an ENT suggestion what I fondly call the roto-rooter surgery. After I healed I could finally breath again. Ahhhh! Sounds a bit like a Sinus Nightmare Stephanie. Thanks for sharing that experience. It’s good to know that you got positive results with your surgery. Thanks for the comments Snape. Hats off to you also. 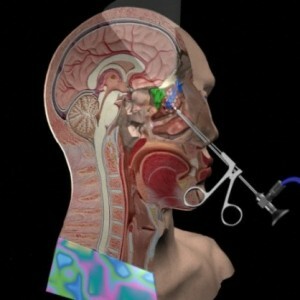 Surgery for sinus congestion is a new idea to me. I thought it was only for people who actually had errors, if you will, in how their sinus passages grew. It’s a bit frightening to think that this congestion and tissue swelling can block sinuses and may require surgery down the road. It can be scary when you realize how serious a medical condition you have, can be. However, knowledge conquers fear, and it’s always a good thing to know your options, even if one is the last ditch option of surgery. Thanks for your entry Cmarten. I agree this is a great article. I will always try natural remedies first, and some that are listed on this site are definitely worth trying. What I did want to know is what is the success rate of sinus surgery? Is it 100% successful or not. 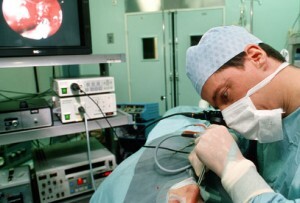 Helen, I found out that the success rate of Sinus Surgery is not 100%. It is highly effective, but the important thing is to make sure that your ENT Surgeon is up to date on the newest procedures. Also, be sure to tell your surgeon if you have allergies, or a chronic history of Sinusitis as these seem to be the major predictors of surgery ineffectiveness. Thank you for this in-depth and informative article. I have had sinus problems for a while now but I never really understood what types of surgery where available or what alternatives to surgery there was. I am a little wary of surgery as I think this will be a final solution for me. However I am now looking at a steam inhaler. I will certainly give it go and hopefully it will help someway with my problem. Paul thanks for sharing. I think the surgery as a last option is a good idea. Good luck with the steam inhaler. What Can You Do About Sinus Pressure? What is a Neti Pot and Why do You Need One? What can I do About this Runny Nose?